NOTE: I traded this one away for another pet. If you have questions I may not be able to answer since I no longer own this one. The strange thing about this pet is that it has the exact same shell as the Mr. Dino pet, but is it the same pet? Well, yes and no. It was clearly designed by the same people, and the shells are exactly the same, except for the fact that one has Dino characters on the shell and the other has Chicks, but for some reason it doesn't have it's own unique derpy characters. In fact... it's not even a chick at all! It's actually just a Tamagotchi clone. The characters are exactly the same as a P1, except the animations of the character's movements are a tiny bit different. The menus and icons are also exactly like the Mr. Dino, but it has all the same features as a basic P1 vintage Tamagotchi. I honestly wouldn't recommend getting this pet. 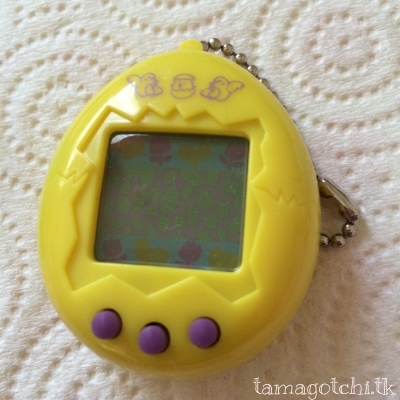 You're better off just getting a genuine Tamagotchi. I got the yellow shell, but it's possible that the white shell version of this is different programming. I wouldn't take the risk of buying one, personally. 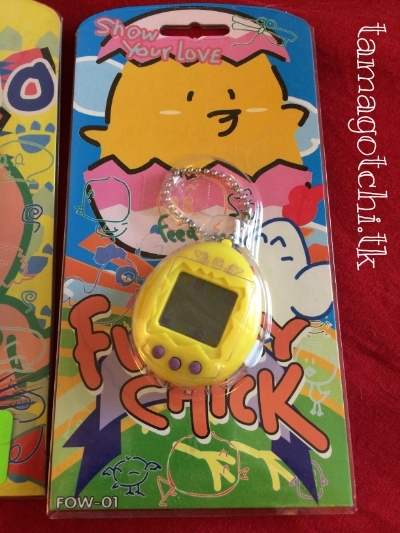 I got this one for about $15, just like the Mr. Dino, but I think the price has gone up recently, which I think is stupid because it's basically just a copy of a Tamagotchi P1. Don't pay an outrageous price for something you could get for cheaper that is more genuine. It's not a high quality pet.